It has never been easier to learn the art of Scottish drumming. 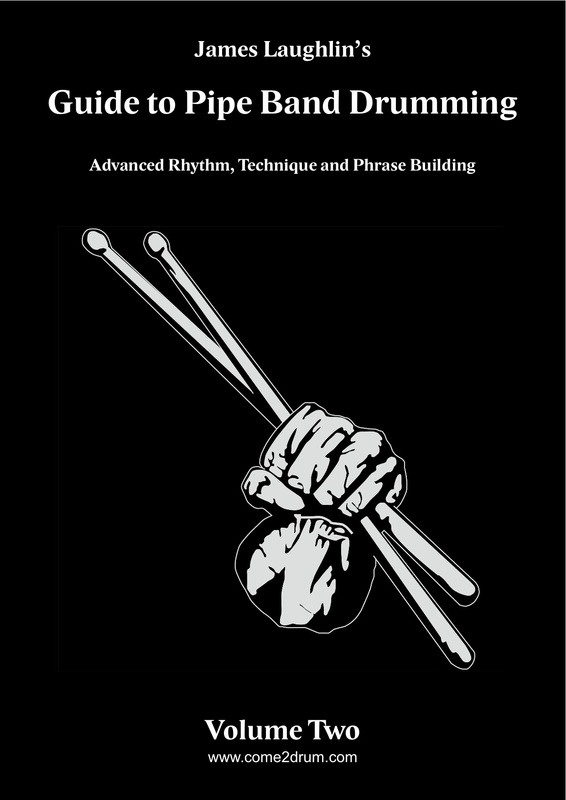 You can now get your hands on the “How-To” Guide to Scottish Drumming, available for instant download in e-book format. Good luck on your journey of musical fulfilment! Make sure and “tap” into your potential. 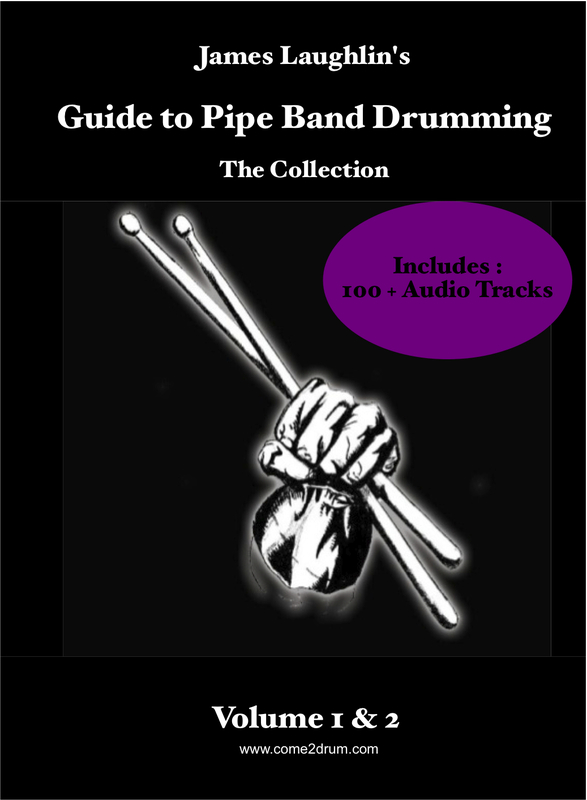 Scottish Drumming News – The Guide to Pipe Band Drumming Volume 2 is NOW AVAILABLE! The long-awaited Guide to Pipe Band Drumming Volume 2 is now available for instant download. Two years ago, James Laughlin launched Guide to Pipe Band Drumming Volume 1 in paperback and e-book formats. It has been the best-selling Pipe Band Drumming Instruction book in the last two years with 100’s of Scottish drumming fanatics using the book to learn and teach. In Volume 1 we looked at the essential foundations of developing good drumming skills. NOW, with Volume 2 we take your pipe band drumming skills to a whole new level. 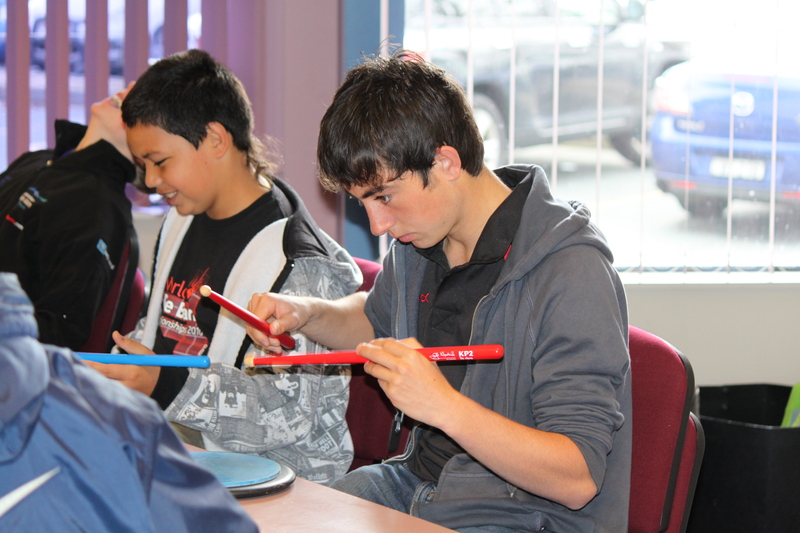 You can also check out the interactive drumming video lessons on Come2Drum. Together, the book and audio tracks work as a powerful tool of self-improvement to help you discover the talent within. ORDER YOURS TODAY! The place where pipe band drummers can tap into their potential! 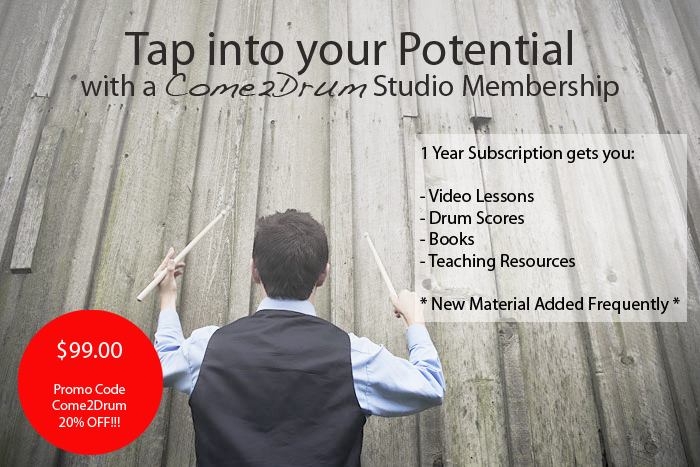 The Come2Drum Studio offers a large and constantly growing repository of tunes, drum scores, video lessons and teaching resources. Get 20% off for a limited time using COME2DRUM as the promo code.